Interesting proportions. They are not quite my favorite, but I can certainly appreciate them and even try a lighter version. I am interested in version of #1 – I tried on a couple of outfits that are waiting for warmer weather. Mine are wider crops with fluid tops,topped with either long-sleeved thin woven duster or sleeveless trench. Both toppers have tie-belts, and this can be worn open for a more voluminous effect like in #1 or closed and tied for a more structured look. I like seeing these examples. To be 3 for 3 on baggy items is highly unlikely here. I count on my clothes to add structure and super wide bottoms cause me to “forfeit” my long legs. Usually too high a price to pay in the name of a trend. That said, I play with volume and like a fluid top with straight bottoms or a topper with a bit of drape over a straighter silhouette. Volume in the heat can be your friend and allow for the breeze to work its magic if lighter fabrics are used. I am not interested in working any harder for proportions, so I would rarely sport these looks, though I like them on others. Thanks for sharing. I saw lots of baggy and more baggy at an art gallery reception in NYC last night. Also wide garments worn in ways we don’t associate with wide — like wide-legged jeans cuffed to reveal the ankle area, anchored with chunky flat shoes. 1, 3, and 4 all have a certain appeal to me. 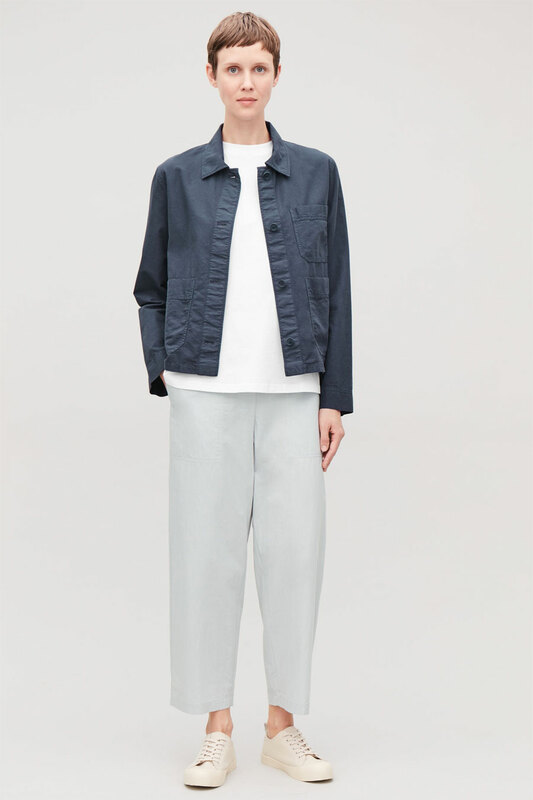 But, realistically, I’d probably only ever wear one or two pieces that play with volume, so example 1, with a more structured topper, or 3 with more tailored trousers. Three baggy pieces is my fantasy lifestyle- sipping tea on my veranda while overlooking the Pacific Ocean. Nope! But I won’t look askance at anyone else wearing these. I really like seeing expertly styled outfits that are outside the norm. They all look great to me . Would I wear a version of any of them? #1 is most “me” of the lot….and I agree that a slightly shorter pant would look even better. #3 is the closest to my preferences, although it’s a bit too minimalist for me. I wear boxy tops with cropped wide-legs without hesitation, but I like to have some pattern, texture, contrast stitching/hardware, etc to help break up the big blocks of colour. At first glance I thought the body type in these images really summarized why these looks don’t work for me.But your description of your clients who wear these looks, and their varying body types made me rethink my lack of enthusiasm and really, it’s not how it looks, it’s how it feels. I’m way too much in motion, while also being a little clumsy and very attached to knowing exactly where I am in space, with precision, so a lot of ambiguous material use is just not for me. I think there is a difference between the first two looks and the last two. The first two look “oversize” while the last two just look loose or relaxed, which, after our skinny jeans passion of the last hundred years looks a little unusual to my eye, but it’s a lot more do-able for a variety of people than the oversized layers. Frankly, the relaxed look is a relief from leggings and skinnies and all things body-conscious. I’m at the intersection of straight & plus sizes – 5’10” with a large bust. Physically, I’d probably like to wear the oversize clothing because it looks like it would be comfortable, but psychologically I think I’d feel ugly all day, so I’m not sure whether the trade off is worth it. Whenever I wear oversized clothing, I feel swamped and overwhelmed by them. I really admire this look on others, but for me I need more structure in my clothing. Skin = Structure. I’ll remember that! In #1, is that an indoor trenchcoat? (Is there such a thing?) If so, I think that would be a pretty cool thing to try. I admire these kinds of looks on other people but don’t care for them on myself. I don’t feel me in an all-over voluminous look — I need more structure. I used to imagine my middle aged self becoming all arty — Issey Miyake or, to fit in with my environment more, Eileen Fisher. Now that I actually am middle aged, I find the look doesn’t suit me like I thought it would. My rubric from several years ago still stands: ” Form with flow, structure with ease.” I do love each item in #1 above, I just wouldn’t wear all 3 together at once. 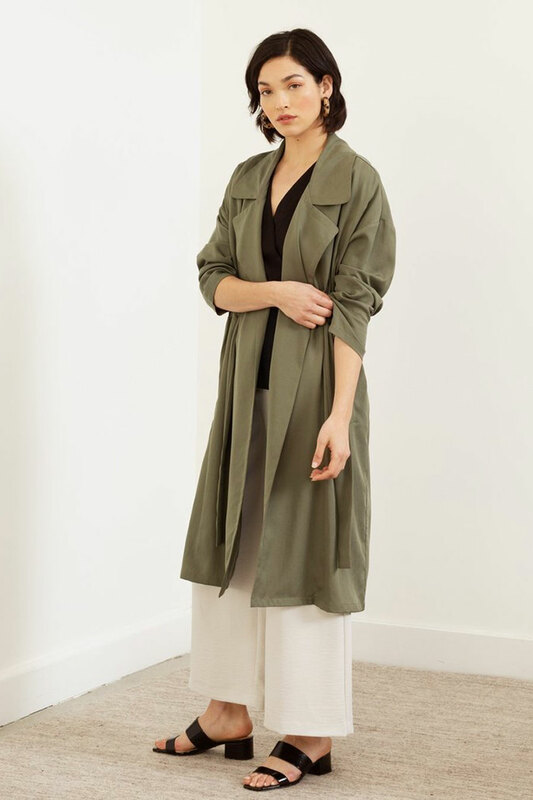 I’d adore the long green trench over the drapey top, but I’d definitely wear it with slender trousers, and possible 2 inch heels. For #2, I’d choose more of a Shalwar Kameez proportion — skinny leggings under a long tunic. #4 would need new color and a shorter jacket. #3 — ooh, I can’t go there, lol! I do know some people who really master the all-baggy look — and they seem really comfortable! Oh, and I try to remember the power of a well set shoulder see for controlling lots of volume, and the power of skin as another element of structure in an outfit. An open collar, exposed wrists and ankles help the clothing not overwhelm the wearer! My seamstress mother taught me the first element, but you taught me about skin as structure and it has been so helpful! In the distant past I wore all these looks all the time because all my handed down clothes were too big for me. Now I think the look would be most easy to wear in summer to show more skin. I would use a long sleeveless jacket or vest instead of a trench. The loose layers would be cooler in hot weather. Yes I would wear 1 and 2, probably not 3 and 4. I don’t particularly like the very boxy look and the wide midi skirt just seems like way to much fabric, although I like the look very much on others. I love all of these. I do wear No. 3, but with a longer shirt underneath the boxy jacket. I’m very tempted to try 1 and 2 as well – thanks for the inspiration! I’d like to say, with Isabel, that i don’t like these simply because the extra fabric gets in the way. I expect it would, but realize that another reason I would feel comfortable in 2&3 is vanity and wanting to have a waist (even though I sometimes don’t). 4 appeals to me because there still is a waist, visible from the right angle. I like 1 too, but can’t articulate why. Not for me. I’m 5’2″… I easily feel like I’m haunting the house even with a flowy dress. I like the artiness and comfort of volume, but I take it in small doses, if such a thing is possible! Oh no. None of these will work for me. I can appreciate it on others (#2 a little difficult to appreciate, lol). I would have liked to wear #3 but boxy items don’t look good on my body type. Interesting proportions, I like #3 and #4, probably I would try #4 maybe it would work for me, who knows, always try, my moto , why not. I don’t think any of these would work on me. At only 5’2″ big over big is just too overwhelming. The second example probably comes the closest but with a slimmer top. I do like loose or boxy tops but usually prefer slim bottoms. I think I would do #1 but with much shorter crops – I agree the v neck is key. #4 might work because it is monochrome, but it would have to be just the right pieces. I am skeptical I could pull off anything resembling #2. 3 doesn’t appeal as much as 1 and 4. Interesting thought experiment! I love the notion of baggy layers but haven’t been able to pull off the looks in 1, 2, 4. #3 doesn’t look baggy to me and is closer to what I wear. Love the look of outfit #2. Thanks for sharing your thoughts, ladies. Tanya, I like your version, and hope to see it. Eliza, volume is great in heat. Dead right. April, YES. I can believe it. And with JUST enough structure. Ginger and Janet, these are the furthest thing from your looks! Lisa P, I can see you in #1! La Ped, YES. You came to mind when I saw #3. Isabel, thank you for keeping an open mind. I WISH I could showcase my clients wearing this vibe. All body types covered. And yes, I get how annoying flapping fabric can be. Kristen, the last two looks are more fluid than oversized – agreed. I like your thought process. 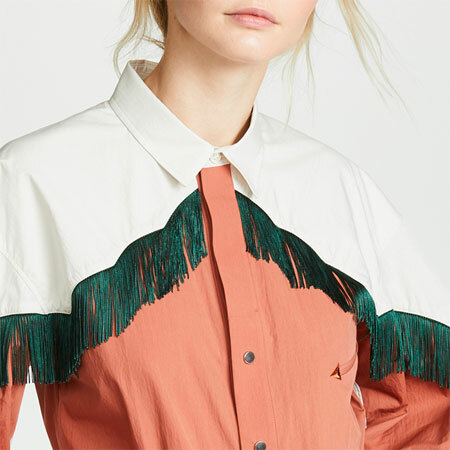 Laura, yes – those thin indoor and unstructured duster trenches have been trending for a while. Beth Ann, you are wise as always. Joy, I can see you rock the looks. FashIntern and Mirjana, I like #4 best too. Lesley, of course. Volume YOUR way rocks. Shevia, fun to have given you something to chew on. I like all of these, and your pointers are great, Angie, because I find it’s not always easy to get the proportions right with this type of voluminous looks. I do like these looks, and would wear any of the first three. The second look is my favorite. I agree with the fabber who said there is a world of difference between the first two looks and the last two. The last example is lovely, but hardly baggy. I really want (and need) more structure from my outfits, but I could see myself in some version of #3 and possibly #4. I’m definitely not in for #2 (it gives me hives just thinking about all that extra material floating around) or #1 (although I love how this looks). Nope! I don’t care for this look……not even on the models. I enjoy wearing one oversized item but the rest of my outfit must be tailored. I love these looks, particularly 1 and 4. With the jackets, I think they’re a great way to look professional and artistic at the same time. I often wear a high volume top and topper together, now I’ll have to try all three! What Inge said. I do like #1 (with shorter crops and maybe a slightly less voluminous trench) and I’d try something like that. I also like Joy’s idea of adapting for summer, with a bit more skin showing. This type of loose layer is perfect for humid heat. Nope, can’t pull it off. 5 ft tall and between rectangle and hourglass. I tried and it just looks terrible. But I like it on other people. I would be completely swamped by most of these looks #3is the only one I would attempt but it is a look I admire on others. ,probably because it’s arty and ageless. Viva, I thought of you immediately when I saw 3. Impeccable grooming, no heavy handed makeup, and a very neat overall appearance, qualities I see in your posts, definitely make these looks more appealing. “Once again I walk these halls…” Only it wouldn’t be Marienbad but a sanitarium. I’m definitely in the minority here, but I love and wear all four of these looks. I love the comfort and creativity these looks have. My favorite is probably #2. I’m always in awe of people who can pull off these all-over volume looks. They always just make me feel short! I need a little bit more structure, I think, usually in the shoulders or with quite a good deal more bare skin than in these photos. I love loose and baggy. #2 is the sort of look I wear most; #1 as well, though I’m more likely to wear a long loose skirt than wide pants. And my clothing is often baggier than you’ve shown. I have fairly wide, level shoulders and what I would call a medium bust (36C). Although I’m only 5’5”, my arms and legs are long relative to my torso, and I have medium bones and a largish frame. People always think I’m taller than I am. My large rib cage has always made close fitting tops look awkward, even when I was 105 pounds (on me, excessively bony). Now that I have more muscle mass and weigh 15 pounds more than the 150 that is best for my structure, long loose clothing is very slimming and graceful. Almost no else I know or see wears the kind of clothing I do, yet I feel that it suits me and is both attractive and comfortable. It’s wonderful, in retirement, to no longer have to wear suits and nylons and restrictive clothing. I have seen done well on others. I think those that are tall can pull this off better than most . Not the best for me either, though I have a 2 piece unstructured outfit today (asymmetric tunic and midi). I like #1 most, it seems the narrowest of the 3, and would be most likely to try that one. These looks appeal to me, but at 5′ 1″ with very short legs, the proportions of each item need to be JUST RIGHT. Otherwise, I am overwhelmed and/or look like a hobo rather than stylish. Wearing two baggy items at once is so much easier. But if I were travelling to or lived in a very hot climate, loose and baggy would be the way to go. Three baggy items? No, I don’t think I could pull it off. I don’t enjoy wearing pants that don’t have at least some structure (such as harem pants which are fitted around the calves). 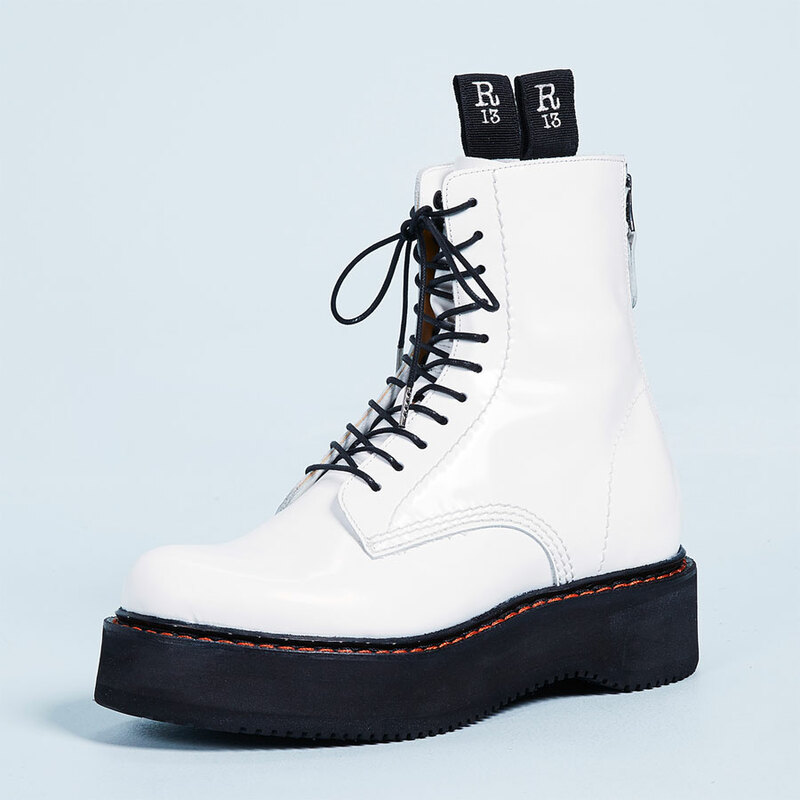 But,, this post has me thinking about baggy items and how it is possible to wear more than one. I have all the pieces for an outfit like this in my closet, and have even put one or two on while experimenting, but it just doesn’t work for me. I need some element of structure to feel like myself. I love these looks. I would wear one piece and keep the rest of the outfit structured. I am with janet on this one. I can appreciate the look on others, particularly on arty, creative people, but I don’t like them for myself. I’ve been thinking about baggy silhouettes a lot lately. Thanks for the reference points! 1 and 4 are most me and 2 without the pants. Three baggy items would probably feel like too much cloth to me. 2 strikes me as very arty and architectural, which I don’t think is very me either. I lack that kind of intellectual refinement. Lol. I like all of these a lot, but 1 and 4 are my favorites. 2 is a little too boho for my style, and 3 doesn’t have the strong vertical line. I feel elegant in oversized pieces, but I am usually good with 2 out of 3. As a tall person who feels comfortable in an arty look with some drama, 1 and 2 really appeal to me. The wider pants are a welcome change from skinny jeans and tights. A friend in Paris reports seeing cropped, wider pants, worn with loafers and brogues. I wear 3 often, but I like to add more refined shoe to enhance a structure in an outfit. Really like 1 but don’t have a topper below the knee. I’m looking, through. I had only a few oversized tops when I wore slim pants. Too much of the “ice-cream cone” effect. Now, when I wear wider leg pants, I’m embracing this style. I recently tried a combination of wider leg jeans + oversized shirt (both in black) + oversized slightly cropped navy wool jacket and I liked it. I might pair it black heels pumps or with oxfords. I also tried the same combo of jeans and a shirt with a classic checkered thigh length jacket. Looks good, more conventional and not as thrilling. I’m sure I will wear both. I can only imagine how awful my size XL apple shaped body (and large on top) would look in one of these. I cannot see how it would look anything other than dumpy. Not for me. Mmm…I’ll be over on the bench with Mary! Def agree on the pant length on #1, like there’s no intention…her pants shrunk, lol! I wonder if 2 and 3 work partly because of the very short hairstyles of the models giving some added structure. I am happy to see that a variety of silhouettes are allowed now. There has certain been enough of those times when only one or two silhouettes were acceptable. I have always found that kind of rules rather restrictive and have done my best to ignore them. We are all so different, have different bodies, different lifestyles and different tastes. I enjoy seeing other people dressing in styles that are different from mine but look great on them. I like all of these, especially 2, and would like somehow incorporate some of this easy vibe into my own wardrobe. My first reaction also was that it took tall and thin to pull this look off. but your description of clients including my size/shape having it work for them is encouraging. I think proportion and fabrication make a lot of difference. It has the arty look I aspire to. My first attempt at style moniker is: Arty-Classy-Casual. Not completely sure what that will mean.. but I see how it does help to guide buying decisions. I like all of these looks, and yes, I would wear baggy x 3. I think I’ve done it. As much as I love #1, I don’t think I’d wear that particular look; I rarely scrunch sleeves that much, because my arms get cold. However, if it’s warm enough for sandals, maybe I would! My favorite look here is #3. I think it’s a very “me” combination. 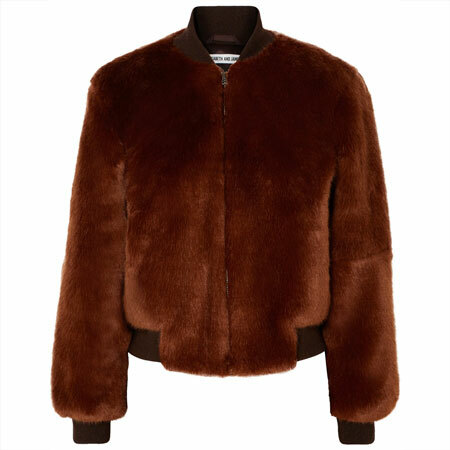 I actually quite like 3 as well, it could possibly work on me as I like cropped jackets. 1 and 2 would drown me and 4 is too dressy/ladylike without enough softness for me. Although I do like the look, I never wear it. I had baggy jeans, but it is just not me. Love these examples though! That’s a firm no to three baggy items. I love to play one baggy (is that the word I want? I feel better saying high volume.) piece against two more structured pieces. Look number one would be perfect to me if the trench were just above the knee. Look number two I want nothing to do with. 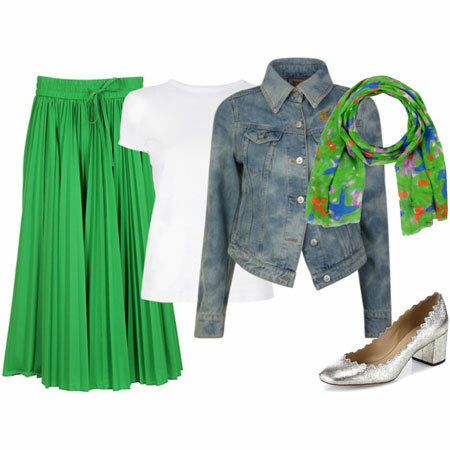 Number three is is a cute tomboy look but I’d wear with cropped, fitted pants. And number four, hmm…. I know all beige outfits are a trend but it’s hard for me to wrap my head around it. 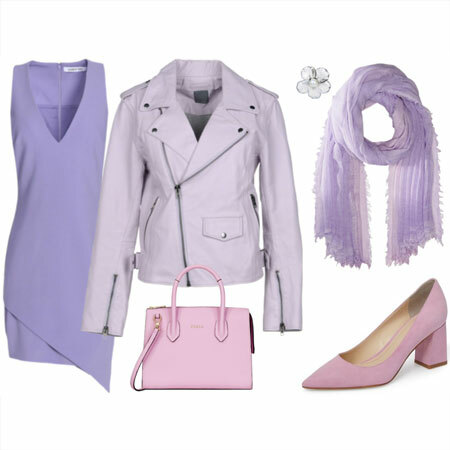 I guess I would keep the skirt, shorten the jacket to hip length, make the sweater white and outside the waistband, and wear some cute slingback flats on my feet. I wonder how multiple baggy pieces came to signify artsy and creative? Nos. 1 and 3 look terrific. I might well copy the boxy look. No. 2 looks like you’re spending time at an ashram. And that column of beige in No. 4 is a big NO for me. It would wash me out entirely. This neutrals trend I’m seeing a lot of is fine — unless you’re super pale like me and would rather avoid looking dead. I love this style. I’m actually surprised that so many people here avoid it. It plays to my strengths: I love highlighting my wrists, ankles, and neck; I prefer waist surrendering as a short waist apple; and I like subtle drama. I tend to keep color contrast low and tend towards solid neutral colors. I like #1 and #4 and often wear personal versions of them. In my version of #1, the pants length will be shorter than the ankle (alternatively, full length), the length of the topper will be a bit above the knee, the top will be a crew-neck or scoop-neck, and I will wear a necklace. In my version of #4, the outfit will not be beige, but rather two or three different colours, and the top will often be untucked. My favorite of these is #2, but I’d go with a tunic length top. I like these types of outfits as long as the silhouette doesn’t get too wide. I think that my larger frame stands up well to the volume, and the looseness is nice in an NC summer. I also feel good in softer, flowier fabrics. I like all of these silhouettes. I would t personally would use some colour and print though, to create interest. A bit Marrimekko kind of. I do find a lot of volume can be impractical when needing to rush around a lot. I love looking at these outfits on models and admire the designs, fabrics and color choices but when it comes to me and my 5’2″ petite frame these looks are not happening! All of Angie’s points at the beginning of the article ring true and the downsides are further emphasized on a tiny person. I also find that some long loose pieces restrict my movement which is especially annoying and sometimes dangerous. Ever get your garment caught in a car door? So I will dream these outfits but stick to structured petite proportioned pieces which are flattering and easy to wear. I also will admire these looks on others- Bonnie and Deborah spring to mind as women who can wear these looks wonderfully. I like some volume but I do like to balance it with more tailored pieces. I enjoyed your thoughts on these looks, ladies. I liked hearing how you made them your own. Fashion unites us, and style sets us apart. I like a baggy dress. Here I like nr 3. I think it could just look good on me. But the shoulders must fit. Hmm, I had a coworker who wore #2 frequently and tended to look like a homeless person. It makes me realize that you have to look pristine to make this look work. Her hair usually looked like it needed a wash – greasy and haphazardly pinned up, no make up, scuffed shoes, and one of the layers was usually an oversized sweater that was pilled and stretched. I wear 1. Pants at that standing length show my preferred amount of ankle in motion and when sitting. Who thought glass desks were a good idea? Sara L., that hairstyle and sweater pilling sounds like the full 90s look! My coworkers wear the column of beige regularly, with some pattern and texture mixed in, and it looks lovely on them. Next to my face and skin tone, beige is not good – but blush is a good substitute. This one is difficult for me. I can feel some COS vibes through it, and I like the look, but whenever I try it on myself, I feel like the volume swallows my Frame (I’m wearing a size S, and even when picking still-roomy XS, it seems visually heavy). Therefore I hardly ever try to wear it and accepted it just doesn’t make me look the best about myself. There’s so many other things I get to Play around with!